PING has been an industry leader in iron innovation since the late 1960s, beginning with the Karsten I, the first perimeter-weighted iron. PING founder, Karsten Solheim brought the concept from his cutting-edge putter design, the 1-A (aka the One that went “Ping”), creating a more forgiving iron. The PING i210 and i500 irons continue the tradition of innovation, bringing pure precision and distance to the player’s iron category. This guide covers the unique features of the PING i210 vs i500 irons, helping you choose which one makes it into your bag. The PING i210 iron is designed for the better player who wants precise control in the short irons and forgiveness in the long irons. 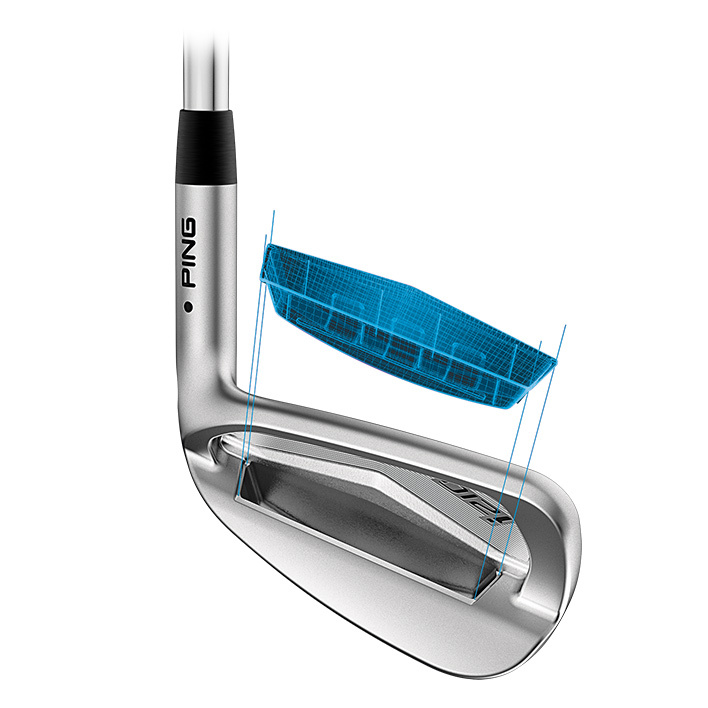 In PING iron family, the i210 fits just below the iBlade and takes the best aspects of the i200 and improves on them. An all-new cavity-back design offers more forgiveness and better feel through a larger custom tuning port (CTP). The CTP is filled with a large elastomer insert that’s 30% bigger and 50% softer than the i200. The result is a super soft, muted feel at impact that lets you feel like you’re controlling the ball more. But don’t worry, you’ll still get the consistent distances you’d expect from a player’s iron. 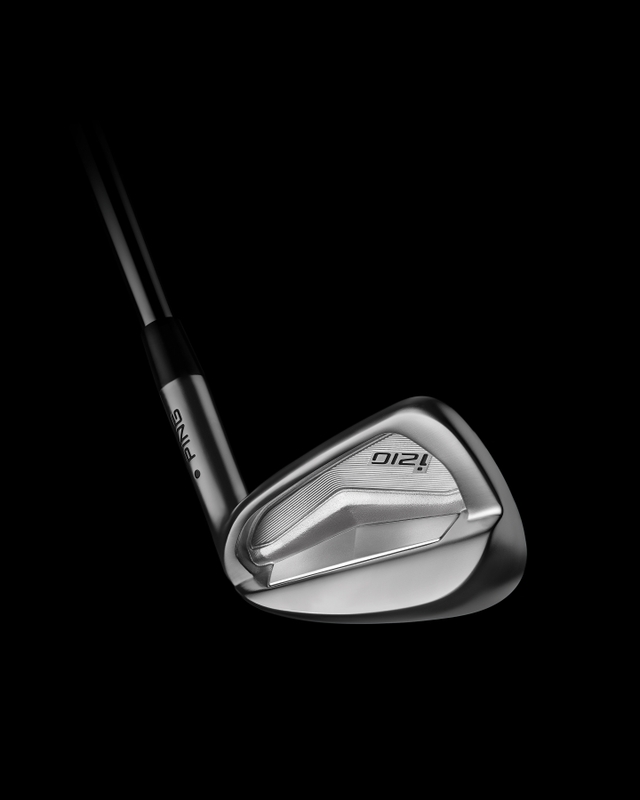 Lookswise, the i210 are compact in the scoring irons, with a thin topline and hardly any offset. The long irons do have more offset and a longer blade length, offering you added forgiveness. Compared to the iBlade, the i210 also has more bounce for better turf interaction in any lie. 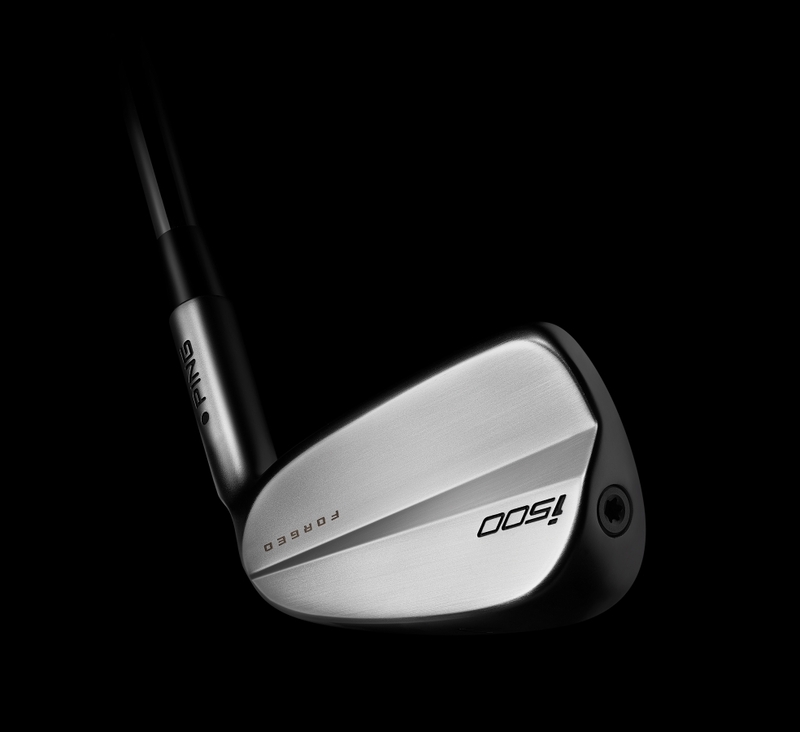 The i500 irons are PING’s first product in the popular “player’s distance” iron category. As the name suggests, clubs in this category have the looks of a player’s iron with the distance of game improvement club. 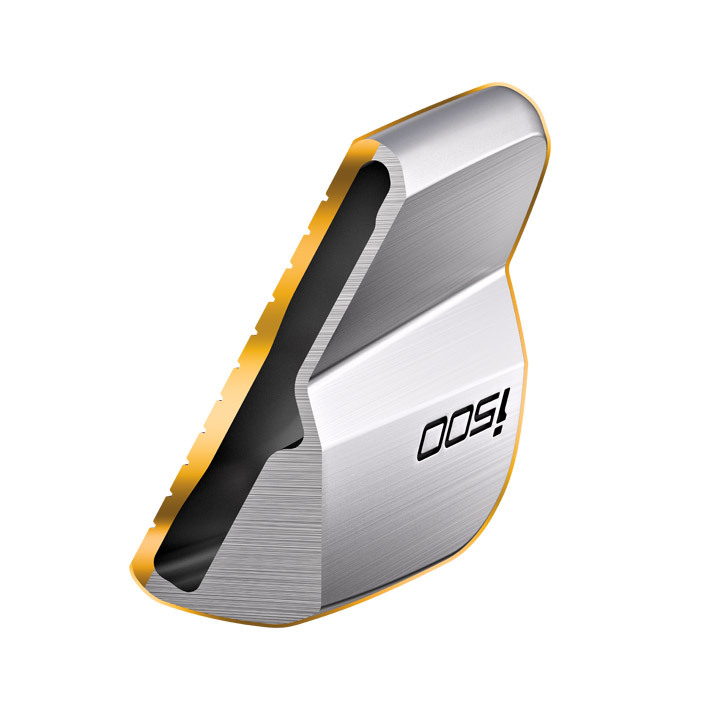 At address, the i500 has the same offset as PING’s other player’s clubs (iBlade and i210). The sole isn’t overly wide and the muscle-back is hidden, even in the long irons. These traits give the i500 a clean, compact look. The saying “Its what’s on the inside that counts,” sums up how the i500 irons get their distance. These clubs have a hollow-body design, creating space for the face to flex more at impact to step-up ball speed and distance. Due to the hollow head, PING designers needed a strong face to support the flexing without sacrificing performance. They didn’t have to look too far for an answer. Like the G400 metal woods, the i500 irons have a forged, C300 maraging-steel face, giving the irons metalwood-like distance. 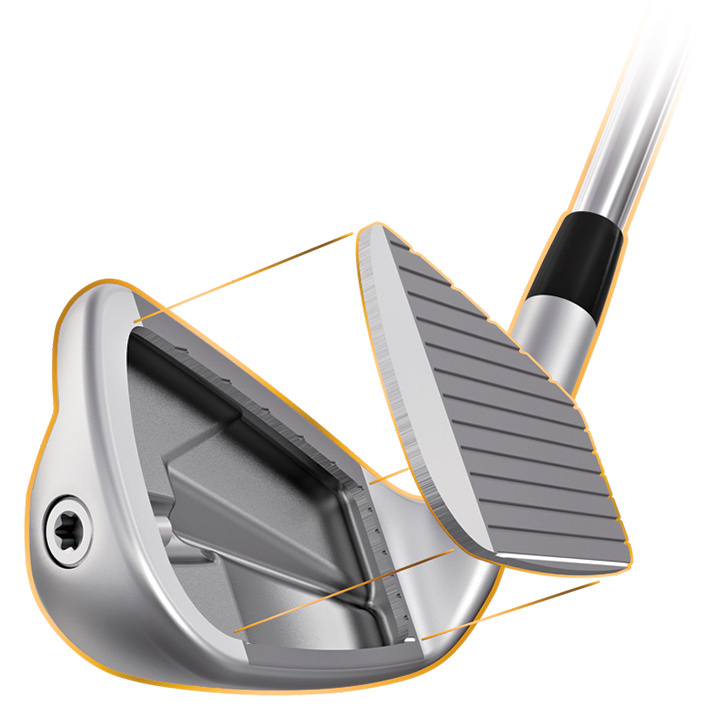 The steel has a variable thickness for more distance on shots hit away from the center. 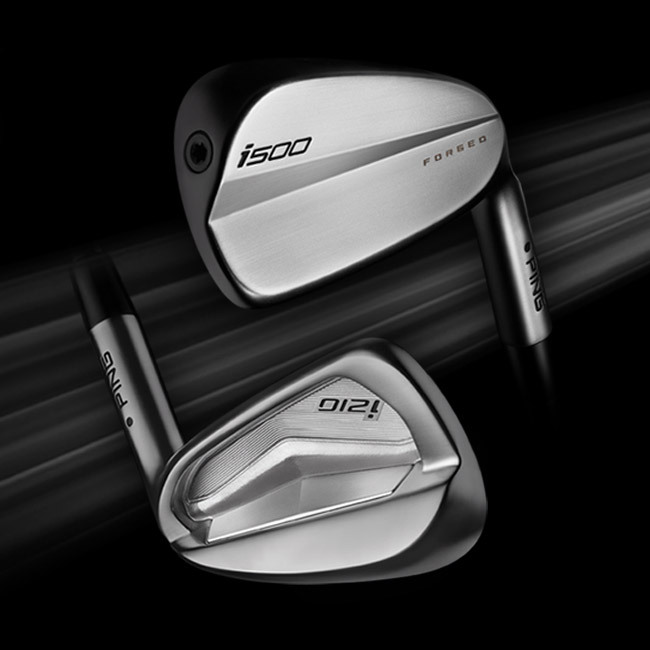 Finally, the i500 irons have slightly stronger lofts than the i210 irons, further increasing the distance factor. Players that pine for precision shot making should strongly consider the PING i210 irons. The i500 irons are for better players that desire more distance without sacrificing workability or classic look. As always, it’s important to get properly fit for these clubs. PING is renowned for their fitting process, which I wrote about last year. 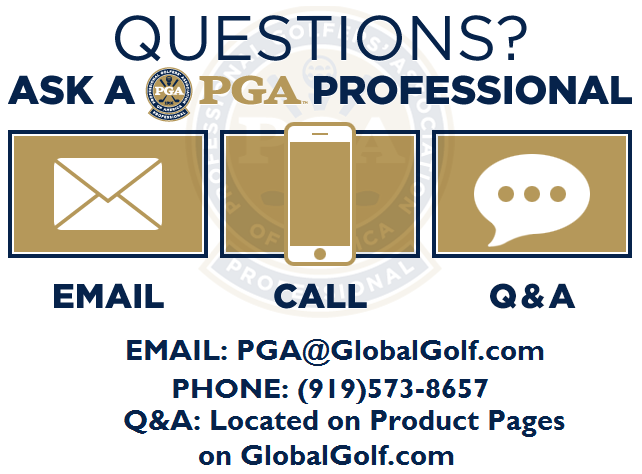 Send an email to our PGA Professionals on staff if you have any questions about these irons, fitting, or anything else.